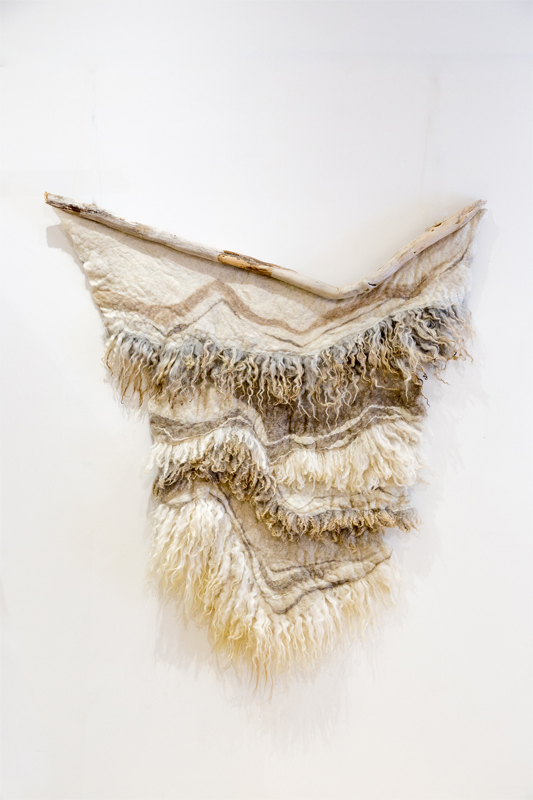 Meghan studied fine art at the Milwaukee Institute of Art & Design and Montana State University – Bozeman. She earned a BFA in Art Education at the University of Wisconsin – Milwaukee in 2011. 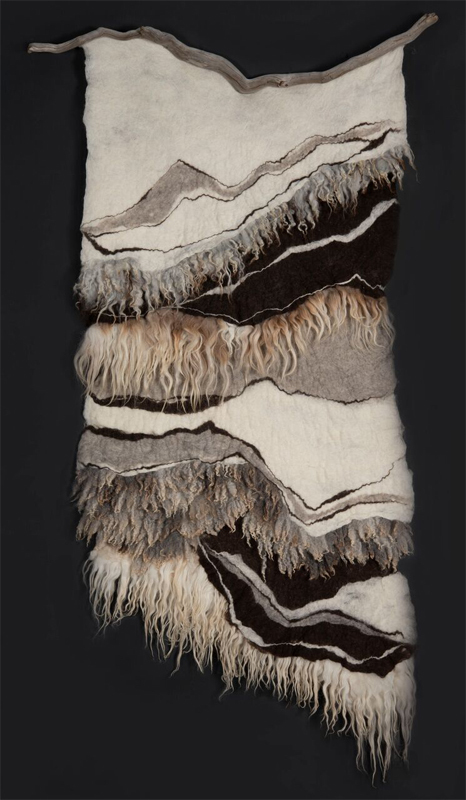 Meghan’s work can be found in private collections and designer showrooms across the country, as well as in a myriad of group and solo exhibitions, and gallery representation regionally. 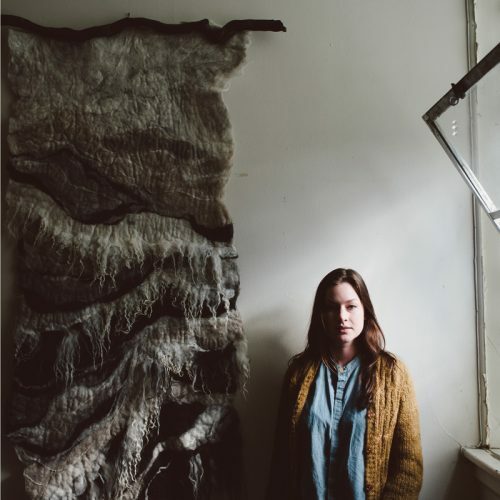 She lives and creates in Livingston, Montana. 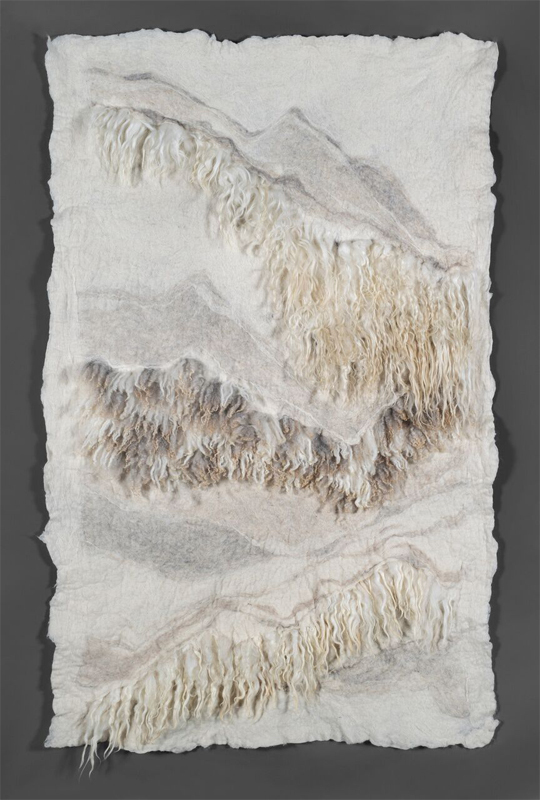 Through the ancient technique of wool felting, Meghan Purcell explores ideas of genuine connection, sustainability, and the integrity of the human hand in an industrialized society. From sourcing wool locally, to assisting with sheep shearing and felting each piece entirely by hand, every step of the process is highly intentional. 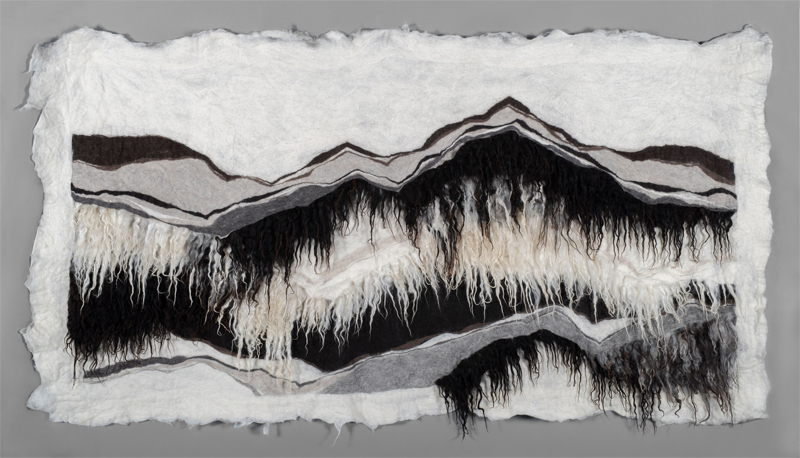 Through the use of raw and found materials native to her surroundings, her innovative and texturally-rich designs redefine Western Landscape Art and transform preconceived notions about this traditional medium.